Faculty of Computer science - Ballsbridge University , Quality Accredited Education, Promoting Lifelong Learning and research,MBA, PhD. DBA. .. Faculty of Computer Science is headed by Prof G C Deka PhD FBQS (Hon). Prof G C Deka is a PhD holder in computer science with specialization in cloud computing. His interest includes Virtualization, NoSQL, e-Governance and Biometrics. He is a fellow of the board of Quality standard. How Ballsbridge University Courses are conducted ? The motto of Ballsbridge University is “Quality Education at lowest possible cost”. The Ballsbridge University utilizes e-Learning for cost effectiveness. e-Learning is a form of learning in which the teacher and student are separated by space or time. The gap between the teacher and student is bridged through the use of online technologies. A student, specifically executives can gain knowledge and skills without any time-barriers or geographical boundaries. e-Learning is specifically a boon for the poor counties and executives. To meet the requirements of the executives and poor countries Ballsbridge University which is an Open University conducts need based courses through online learning with Moodle campus. The Moodle campus is an online campus is equipped with course modules and dedicated experienced faculty member. The courses modules can be downloaded or read online. The students can interact with professors to clear doubts and seek advices in Research/Course work. Everything a student/ researcher joining a program need to complete the degree or post graduate course is access to Internet. Assignments are evaluated by faculties and accordingly the grads are awarded. BU curriculum is delivered under the approval of the commonwealth of Dominica Statutory Laws and Order 65 of 1996 which approved Ballsbridge University as an Awarding Body. 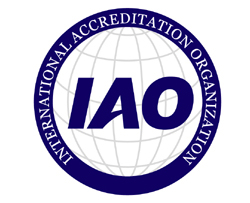 · The Quality assurance is monitored by the Board of Quality standards as an Accredited Member. · Eligible to join the chartered management institute UK, institute of leadership and management UK. Cloud computing is a low cost, high performance network application method and is gradually affects people's study, work and life. With the huge acceptance and adoption of cloud computing there is a tremendous need for IT professionals having knowledge and skills about cloud Computing. Faculty of Computer Science conducts the following course with a focus on cloud computing.